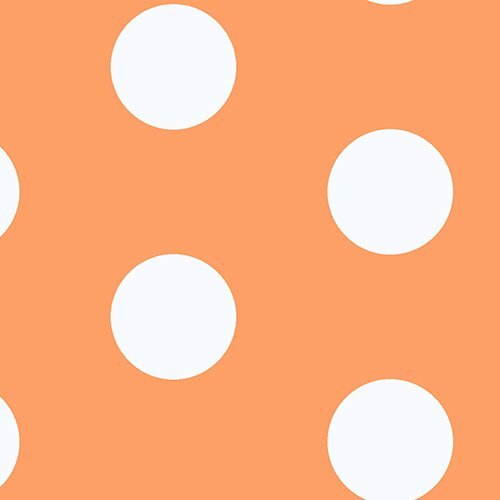 Orange with white Dots. From the Let's Play Dolls Summer Fun Collection by Firetrail Designs for Andover Fabrics. 100% quality cotton. 44-45" wide.